Jem Roberts | Author, Performer, and many other inadequate nouns. Support TALES OF BRITAIN today! Author, Storyteller, Performer, Editor, Comedy Historian, Songwriter, Veteran Games Journalist, Production Editor, Frank Welker Impersonator, Humanist, Voice Artist, Baritone, Pseudo Comedian, Pseudo Actor, Reliable Compére, Ukulele Player, Kazoo Virtuoso, Recording Artist, Mythology Obsessive, Folklorist, Squash Connoisseur, Non-Ginger, Beardy Folkie, Frustrated Swimmer, Native Ludlovian, Adopted Bathonian, Large Fellow. This last gig came courtesy of being the official chronicler of the nation’s favourite radio comedy, I’m Sorry I Haven’t a Clue – and also, the nation’s favourite sitcom, Blackadder. My third book, Douglas Adams: The Frood – the Very Official Story of The Hitchhiker’s Guide to the Galaxy – is in some shops too, as is my fourth – the official, authorised Fry & Laurie biography, SOUPY TWISTS! published just in time for the colleagues’ 30th. Finally, as a departure (although I have been writing for children since the start), please go to your nearest book shop and ask for TALES OF BRITAIN – believe it or not, it’s the first British folktale collection to be published in over 30 years! 77 tales from Scotland, Wales, Kernos, England and the Isles, each refreshed for the 21st century, with tourist guides to every last one. 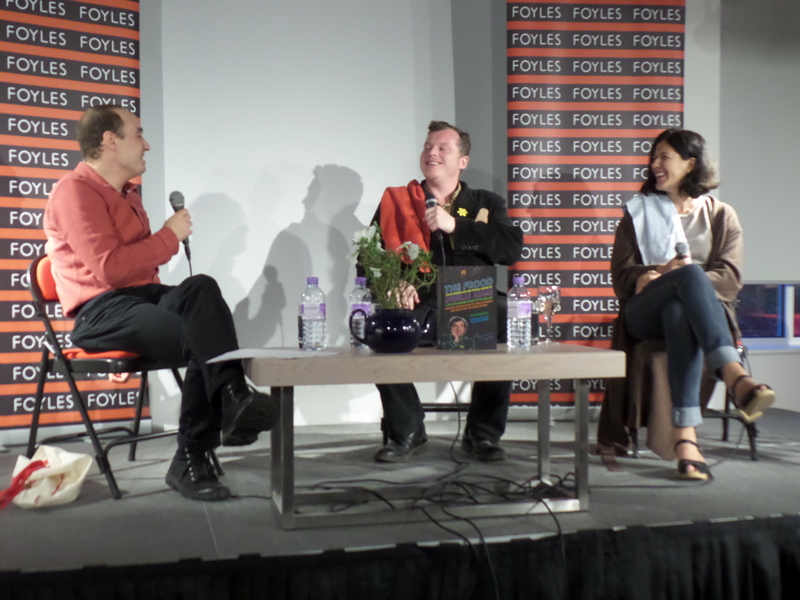 Further volumes will follow, special editions, an audiobook/podcast, and above all, we have live shows all over the UK, if not the world, all year long! Just get in touch to book your own TALES OF BRITAIN show today! For any other exciting possibilities, editorial work and indeed performances of family folktales or filthy comedy songs… just email away on jem@jemroberts.com if I can ever be of any help. Some of those reek of verbs… Surely there must be some verbs involved, otherwise you wouldn’t get very far as an author. There’s an adjective or two to spice things up, but that’s all… for now. Loved reading THE FROOD, excellently written. Thanks!!! If you write a biography of Kenny Everett I will be the first in line to read it!! Ditto, a great read. One wee irritant tho. The kakapo is the world’s heaviest parrot & very far from small! On the 29th May you are involved with the an audience without Victoria Woods… Is this event first come first seated or can seats be booked? It’s actually on Saturday 28th, and we’ve decided to make it free entry, but donations to get out. We’re hoping to set up some kind of ticket system though, keep an eye out on the Bath Fringe and Widcombe Social Club sites, or search for An Audience Without Victoria Wood on Facebook, where we’ll set up an Event page. I pledged money on Unbound for the Soupy Twists book and haven’t received anything. Can you please update the status. I want to thank you profusely for writing “Soupy Twists” and I have been a fan of Fry & Laurie for many years and when I do a re-watch of their series, I have a yearning for more info. I have the script books like everyone else but your book is the cherry on the cake. Thank you. Just heard about your Tales of Britain book on Radio6, but it’s sold out! Could you let me know if you have a re-print please.